Communication began from face to face conversations and has become more of a virtual experience in its current state. No matter in voice, video or text, we’ve all found new ways to get our messages across. Words fly across our screens all the time, especially in our instant messaging apps, but are letters enough? Do they allow individuals to express themselves well? 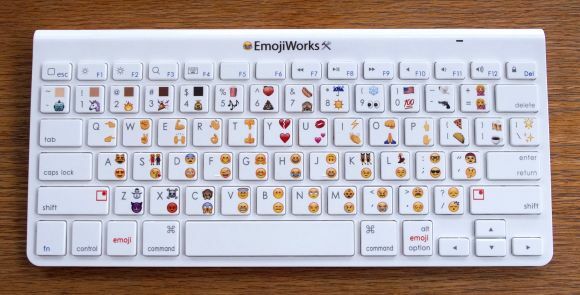 If you feel you’ve always used Emojis more often than just plain text, you should take a look at the keyboard by EmojiWorks’. 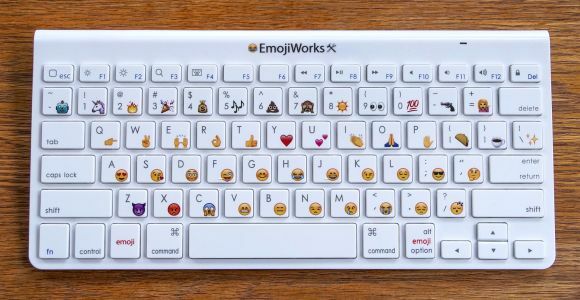 Usually our access to Emojis face an issue when it comes to PC compatibility, or at least non-mobile devices; unless you get a program that lets you display an on-screen keyboard. The list of these images/Emojis are constantly expanding and our need for them could be just cause they add more life into a conversation. 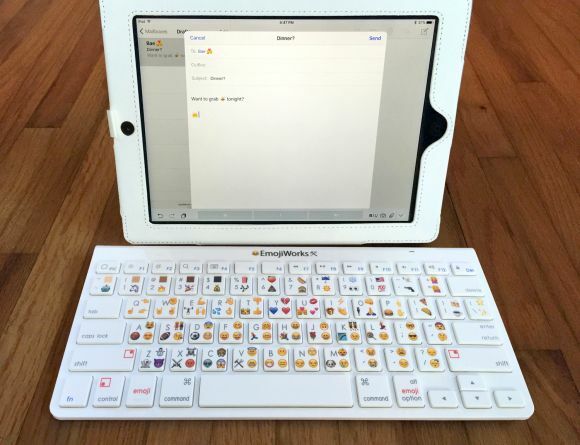 Opening doors and new avenues with the Bluetooth enabled Emoji keyboard, EmojiWorks has begun taking pre-orders for the chiclet based typing slate and it’ll come in 3 options. 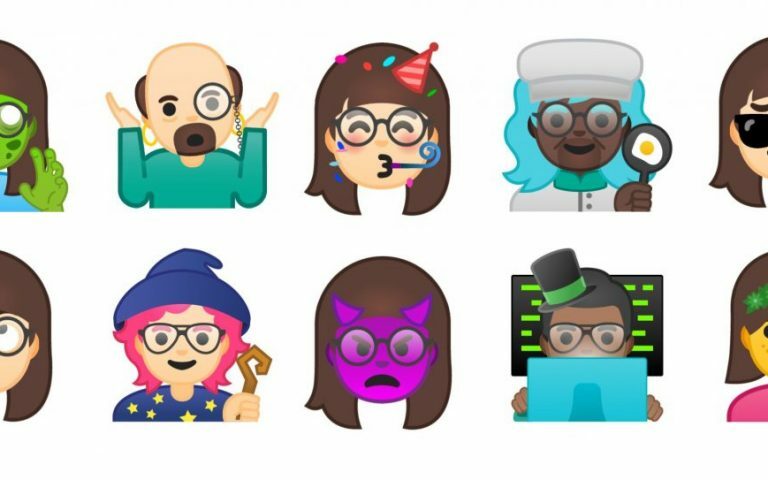 The base model will get you 47 emojis; the Plus model hands you double, access to more than one skin tone option; the Pro version gets you almost triple the original emojis with 120 icons. 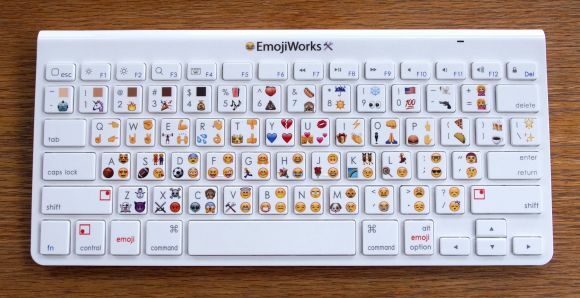 These keyboards will come with the latest emoji icons (up to the last refresh) and it’ll be compatible with Apple products (Mac OS X and iOS) and Windows running machines (tablets, and PCs). The basis of having a keyboard would be allowing you to type in QWERTY format, and it gives you the same A-Z plus symbols and functionality as a regular keyboard – it’ll be smaller than most, since it rids itself of the numberpad keys. 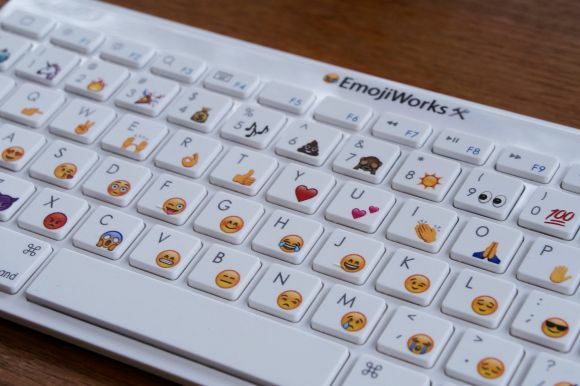 All three keyboards run on 2 AAA batteries and there’s an EmojiWorks specific software that you’ll have to install to get the emojis on your screen. Starting from US $79.95 (Emoji Keyboard), the mid-range model will cost US$ 89.95, while the top of the line Pro model will be just shy of US$ 100. They begin shipping in December. Has technology derailed the proper meaning of communication, to the point that humans are losing a piece of themselves in the process? Are these emojis merely images that don’t really reflect our actual emotions? Maybe we should backtrack and revert to the most personal way of communicating, at least then we’d all be more genuine. 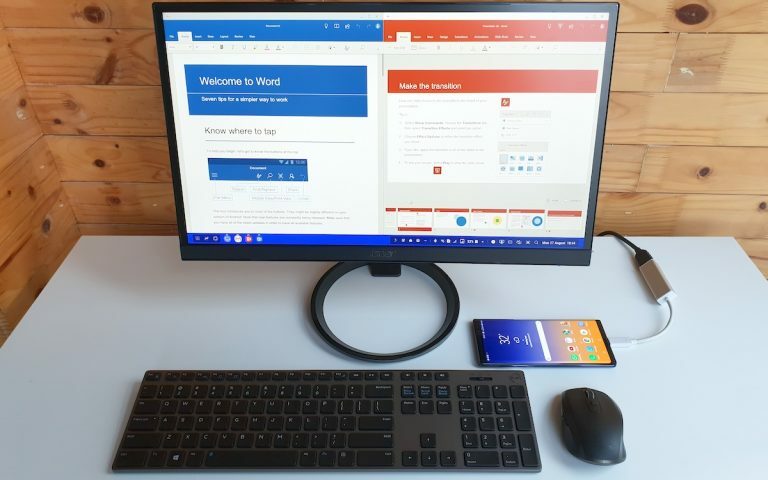 Let us know what you think about this keyboard and its impending affects on human communication in the comments below.